With there being less than a couple of months to go until our favourite time of year, we thought it’s about time we start to think about our spooky parties and celebrations this year! We can’t believe how fast this year is going so Halloween will be here in no time now! We think now is the perfect time to get stocked up on all your Halloween essentials, whether you’re holding your own party or just want to put up decorations in your home to celebrate the spooky season, we have everything you need here at Halloween Horror Shop to make Halloween 2018 the best! From Decorations and Props to Lights and Inflatables, we’ve got plenty of fantastic decorations available for you to get stocked up with time to spare! In this blog we’d like to give you a peek at some of the fantastic products we offer and hopefully give you a little inspiration for your Halloween décor and accessories this year! Don’t forget we also have our fantastic 50% sale on at the moment so all the products listed below and many more on our website have ½ price, even, more reason to treat yourself! Perfect for spreading over windows and doorways, our Creepy Spiderweb Decoration is a great option for creating a spooky atmosphere as soon as family and guests enter your home this Halloween. This is a really versatile decoration for all kinds of spooky themes and can be used anywhere in the home! Another great option for instantly adding a creepy atmosphere in the home is our Twin Pack of Fright Tape. This colourful green and pink tape is ideal for fastening across walls, doorways, windows, fences, either indoors or out. Perfect for Halloween parties! Or how about our Metallic Design Banners or Halloween Bunting, great for putting outside the front of your home to make sure everyone knows where the party is or to welcome trick or treaters to your house! Turn your home into a scary haunted house this Halloween with the help of our LED Projector which shines the silhouettes of 4 spooky ghosts onto any wall or surface inside or outside the home. This projector comes with a stand and a stake too making it a versatile option to place inside or outside. Check out more of our party essentials such as our 24 Black and Orange Halloween Balloons (what’s a party without balloons?!) and our Bloody Detailed Tablecloth, the perfect backdrop for your spooky party feast! Great for parties for children of all ages and adults alike! Make sure you have some spooky options to serve your snacks and drinks on too. Our fun skeleton design is available in both Cups and Plates, we think these will be a hit with your Halloween partiers of all ages! And with our great 50% sale still on, why not grab a bargain and stock up with multiple packs to cater for all your party guests this year! 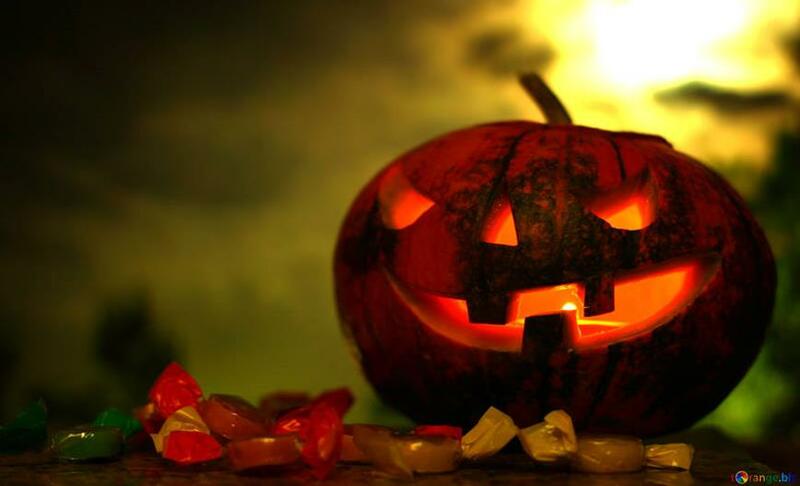 Keep a spook-tacular atmosphere all through the night at your party with our great Lighting options here on our Halloween Horror Shop website. Items like our 200 Orange Supabrights and our 35 Red Battery Powered LEDs will be great for lighting up your home or party venue and with the traditional Halloween colours these will be great for matching with any styles of Halloween décor and themes. Ideal for placing on your buffet table filled with treats, or a great trick or treat bucket for children, our Pumpkin Sweetie Bucket can be both useful and decorative! Already started planning your Halloween costume this year? Check out our Halloween Fancy Dress Accessories to help complete your outfit! We have makeup, masks, fake blood, hats and more, for both kids and adults, so why not check out the full range, we’re sure there’s something that will help to make your outfit even spookier! Here we’ve just given you a sample of a handful of the wonderful Halloween products available that will help make your party a success. Why not head over to our Halloween Horror Shop website to browse our full range at your leisure. Remember its free, fast delivery on orders over £50, and we have our 50% sale still on! So even more reason to grab a bargain and get planning for Halloween right now!